Wonderful food in a beautiful lakeside setting - whether for breakfast, lunch or dinner- Benguela Brasserie & Restaurant is the perfect choice. 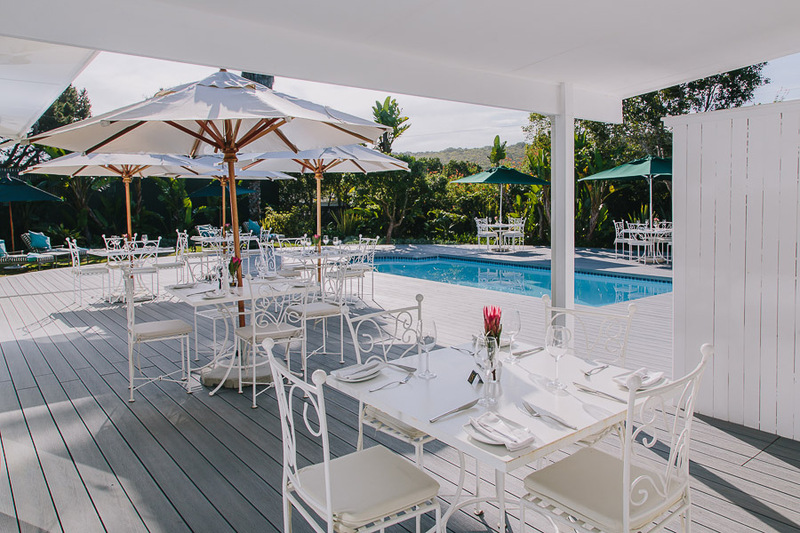 The venue has a growing reputation as one of the leading Garden Route restaurants, popular for its imaginative and varied menu. There are also wine tastings, food pairings and other special events throughout the year. Relaxed lakeside dining for breakfast and lunch transforms into a sophisticated and romantic setting in the evening with a relaxed menu and healthy signature dishes from our Executive Chef, Kelly-Anne Pietersen. Our restaurant has been designed to serve as a stylish and welcoming backdrop for any social occasion. A burst and mix of flavours for everyone made from the best seasonal and local ingredients. Enjoy Chef Kelly’s contemporary take on classic French, English and Asian cuisine while you relax in our elegant and modern interior. It feels like home but only better. We believe that the Benguela Brasserie experience should be just that – an experience.